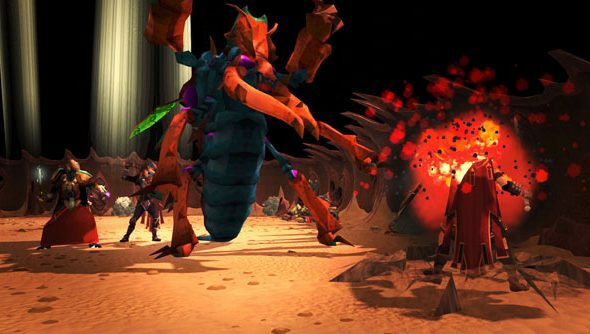 Runescape first began splitting into alternate dimensions early last year, when its community voted through a separate live version of the game, as it was in 2007. That polling process has since been codified as the Power to the Players system, and it’s just yielded yet more results – a traditionalist, alternative fighting style to that the Evolution of Combat update introduced a couple of years ago. The new Legacy Mode was polled into being earlier this year, gaining 80% of a player vote. Developers Jagex have been busy beta testing it since, and pushed out an update today. The mode is designed primarily for Runescape’s longest-logged-in players, who prefered the sedate pace and simple look of combat in the game’s first decade. Incredibly, its existence is just one result of more than 50 separate votes on the direction of Jagex’s development this year. “Power to the Players has been a hugely successful initiative,” said Runescape exec producer Phil Mansell. “It has truly democratised our development process and given our players the means to decide how the game evolves. I remember old-school combat in Runescape. A successful hit was accompanied by a sound like a velcro. Perhaps the armour was made from shoe leather. Are any of you lot playing Jagex’s flagship browser MMO at the moment? Or perhaps its follow-up, Transformers Universe?